No, this is not the story of a fish who swallowed a diamond ring. 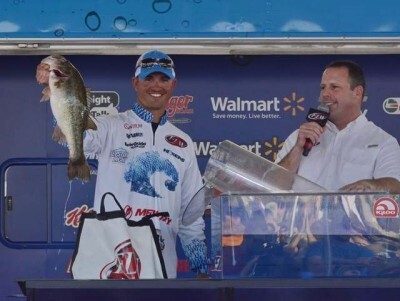 But, Casey Ashley, could pick up several diamond rings with the purse from the FLW Tour Event that he won last week. Casey bagged over 68 pounds of fish beating the next closest competitor by more than 14 pounds. Click here for more. Lake Hartwell is known to be one of the best lakes in the country for bass fishing and has been selected for the National Bassmasters Tournament in 2015. Whether you love fishing or not, we would love to help you find your spot on the lake.